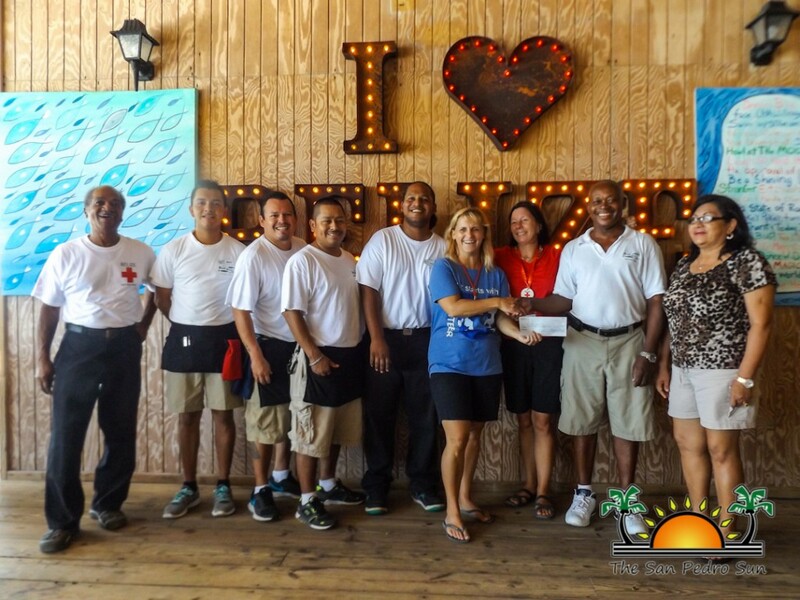 The San Pedro Belize Red Cross (SPBRC) was the recipient of a much needed donation on Monday, July 6th, from the Blue Water Grill (BWG). Each month BWG raises monies to support different charity organizations on the island. For the month of June they chose the SPBRC, contributing a check for $502 to assist in the organizations activities. According to Laurie Norton, from SPBRC, they are very pleased with the donation and thanks BWG patrons for their continuous support in their efforts to make a difference on Ambergris Caye. “We are very thankful to Blue Water Grill for this generous donation to the San Pedro Red Cross. These funds will allow us to continue funding our work, particular in first aid and blood drives,” said Norton. Norton emphasized on the importance to keep the island safe and as such everyone should work together to reach a stronger foundation. “We understand that is not easy out there, but we if come together, anything is possible and we can have a safer island, when it comes to health issues. We had a successful blood drive a few days ago, so it was truly very heartwarming to have so much support from everyone,” stated Norton. She noted that Crazy Canucks has been doing a wonderful job with ongoing fundraising for the San Pedro Red Cross. They have designated the last Friday of their weekly trivia as Red Cross night. For the month of July, the Blue Water Grill is raising funds to buy a new electrocardiogram (EKG) Machine for the Dr. Otto Rodriguez San Pedro Polyclinc II. At the moment the clinic is unable to provide services when it comes to heart issues due to a broken machine. Blue Water Grill will match the first $2,000 donated and at the end of the month 100% of the money donated plus their match will go towards buying the EKG Machine. Donations can be made at their cashier in any amount, including coins during their normal opening hours. The San Pedro Red Cross Branch would to thank the Blue Water Grill and their staff for their support.